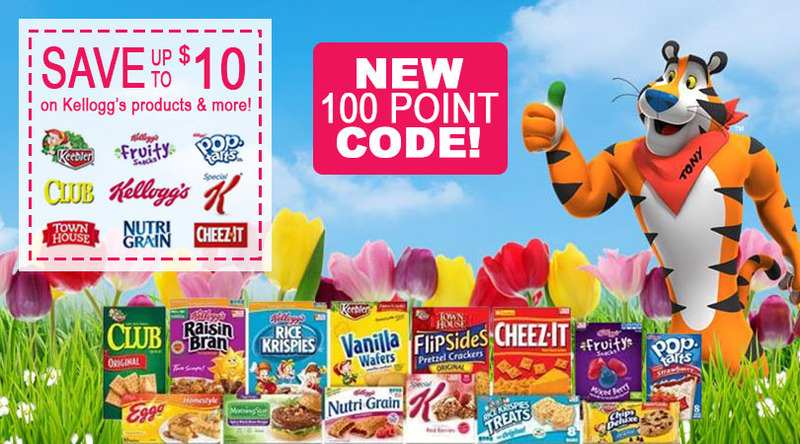 Enter 16-digit codes below TIP: watch your email for special emailed codes from them, they often send 100 point codes (emails come from no-reply@em.kelloggs.com). They also send high-value Kellogg’s coupons! and of course, watch Gimmie! We’ll share new codes whenever we find them! Redeem points for FREE stuff, such as high-value coupons, books, magazines, toys, gift cards and more! Get started with these FREE Codes!! And don’t miss our BIG list of Kellogg’s Codes here!